When Is Heavy Menstrual Flow Abnormal? Dr. Daniel S. Kushner, MD Blog When Is Heavy Menstrual Flow Abnormal? Months with heavier menstrual bleeding are common. Many women experience wide fluctuations in the amount of menstrual blood between periods, but not all episodes of excess flow can be classed as abnormally heavy, medically called menorrhagia. This is a condition where you not only experience major bleeding, but the associated cramping and pain combine with menstrual flow to keep you from your regular routine, making work, school, or home life difficult. When your menstrual flow is so heavy that you need to change sanitary collection measures such as pads or tampons every hour for several consecutive hours, you may be experiencing abnormally high flow, causing you to double-up on sanitary protection methods. Your flow could be enough to wake you through the night to keep up, and overall, your period could last longer than seven days. You may pass large clots, bigger than the diameter of a quarter. Menstrual bleeding is excessive when you show signs of anemia from blood loss, including symptoms such as pale skin, weakness, fatigue, and shortness of breath. Anemia is a deficiency in the level of red blood cells, the oxygen-carrying component of your blood. Iron-deficiency anemia occurs when your body uses its stores of iron to make more red cells. This may be aggravated by iron shortages due to diet. Irregular ovary activity: If ovulation doesn’t occur during your menstrual cycle, progesterone isn’t produced, leading to an imbalance of hormones that permits the lining of the uterus, the endometrium, to build up beyond normal levels. Other hormone imbalances: Conditions such as polycystic ovary syndrome, thyroid issues, diabetes, and obesity can also upset the proportions of estrogen and progesterone, leading to overdevelopment of the endometrium. Growths in the uterus: Polyps and fibroids are both associated with heavy and prolonged menstrual bleeding. Intrauterine devices (IUDs): Using non-hormonal IUDs can lead to menorrhagia, a known side effect. Complications of pregnancy: Heavy menstrual bleeding can accompany a miscarriage or problems related to irregular location of the placenta. Cancer, certain medications, and other medical conditions may also contribute to abnormal levels of menstrual bleeding. When your abnormal menstrual bleeding is traced to an underlying cause, your treatment may focus on that cause, rather than the heavy menstrual bleeding, which typically resolves when the root issue clears. Much depends on your particular case, including your overall health and future reproductive plans. Medications can sometimes help. Nonsteroidal anti-inflammatory drugs (NSAIDs) can sometimes help reduce excessive menstrual flow while also relieving pain from associated cramping. The use of oral contraceptives or hormonal IUDs can help balance hormone levels to moderate and regulate your menstrual cycle. Medical procedures used to treat menorrhagia include dilation and curettage (D&C), embolization of the uterine artery or other treatment of uterine fibroids, endometrial ablation or resection, and hysterectomy. The right solution for you takes into account many factors. Dr. Daniel Kushner and his team can help guide you through your options to ensure you choose the most appropriate treatment. Call or click to book an appointment today. You may not ever think about uterine fibroids until you develop the heavy menstrual bleeding and other painful issues caused by these almost always non-cancerous growths. Fortunately, many treatments exist that can help tame fibroid symptoms. Have you found yourself with genital warts? Or are you worried about cervical cancer? While an HPV infection usually resolves on its own, in some cases it can cause serious issues. Read on to learn more about testing, treatment, and prevention. If you feel a burning sensation when you urinate, you may have a urinary tract infection. Though incredibly common, UTIs can cause bothersome symptoms. If you’re prone to them, find out how to keep them from coming back. If you’re living with polycystic ovary syndrome (PCOS), you don’t have to suffer from symptoms like weight gain, pelvic pain, or excessive hair growth on your face. Dr. Kushner has treatment options to balance your hormones and ease your symptoms. If you’ve been told you have uterine fibroids, ovarian cysts, or endometriosis, you may be worried about needing traditional surgery. But there are other options with fewer risks and side effects. Are you searching for a birth control method that’s safe, effective, and reversible when it’s time to build a family? You can put the IUD near the top of your list. 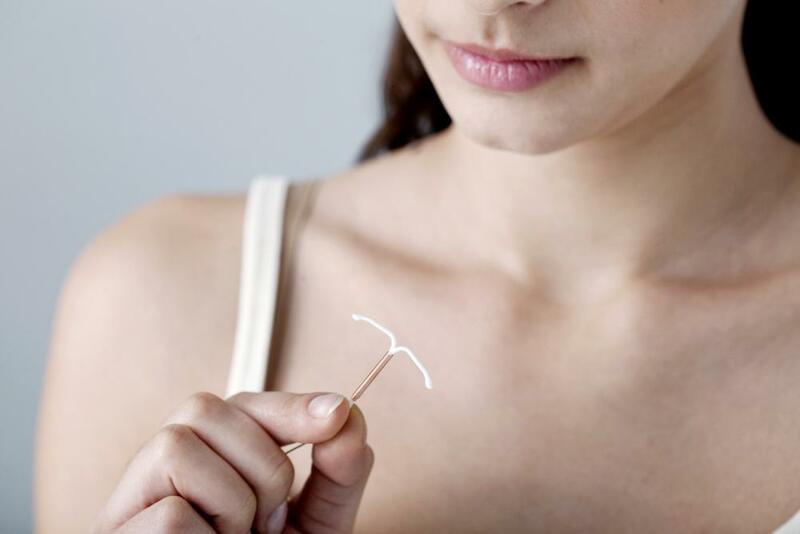 Find out why Dr. Kushner is a fan of the IUD and the benefits it offers.